Pearl Cloud- What is it and how can it help you? Pearl Cloud is our specially made secure cloud system. It has been developed in-house and made as simple as possible to use. You can store your recently scanned digital documents because Pearl Cloud has been designed to host files and documents online for easy access, anytime and anywhere. Why should I use Pearl Cloud to host my documents? If you get your documents scanned with us, we will upload all of your files onto Pearl Cloud so you don’t have to worry about it and we will also provide consultancy so you know exactly how to view your files on the system. We also have specialists monitoring the system so if anything goes wrong, they will fix it and oversee updates so you don’t have to. If you use your own system, you would have to oversee these tasks yourself which could result in wasted time and slower office efficiency. 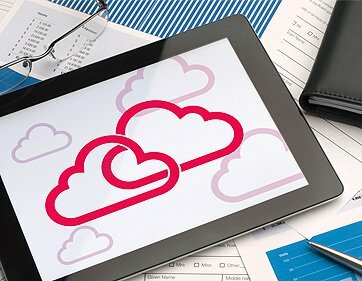 What are the benefits of using an online cloud system? Our online cloud system is customised for your organisation. With an online system, you can access your files from anywhere at any time. There is no administration required (as mentioned above), we set up the system and take care of the administration and upgrades. What features does Pearl Cloud have? The ability to view, email and print digital documents immediately. How can I get Pearl Cloud access for my organisation? Simply hire Pearl Scan to digitise your documents and we will set up the Pearl Cloud system for you. It’s that simple. As I have already mentioned, we take care of the administation tasks of the cloud system so it will be a huge weight off your shoulders. If you have been convinced to try out our document scanning services and document management solutions and would like to request a quote, please get in touch to speak to a member of our friendly and approachable team.